s Francesca Lanza belts out her opera favourite, O Mio Babbino Caro, some of the audience are enthralled, swaying along to the music and conducting with their hands. Others are holding fingers to their ears or having a snooze in their seats. It’s not a typical reception for the professional singer, who is more used to performing at La Scala in Milan. Today her stage is the open plan conservatory and living room of a Dorset care home. 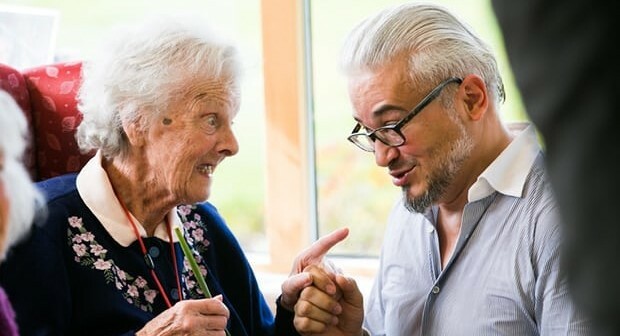 Thought to be the first opera written specifically for care settings, Six Characters in Search of an Opera by Rachel Barnett (directed by Helen Eastman) has been performed across London and south-west England in care homes, dementia units, community day centres and hospices. An introduction to ‘Six Characters in Search of an Opera’. At the Old Vicarage, a 40-bed care home in rural Dorset, the room is full and support workers, nurses and kitchen staff have crowded in at the back to watch. Residents begin one by one to pay more attention – they sit up a little straighter and start to tap their feet. By the end of the performance nearly every resident is singing along with a smile on their face. 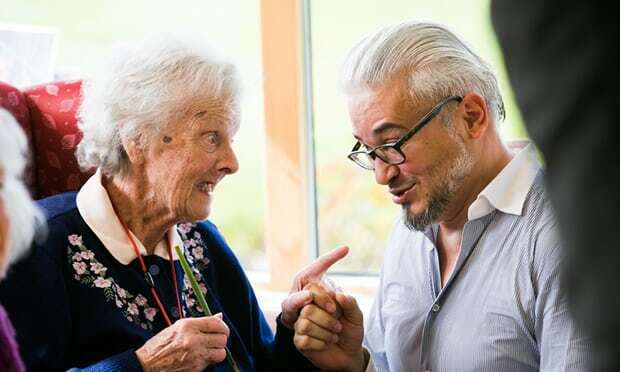 The play – which includes opera favourites such as Rigoletto and the Toreador Song alongside songs such as Ivor Novello’s And Her Mother Came Too – was commissioned by Davina’s Fund, a small charity that aims to bring opera to older people unable to go and experience it for themselves. Jan Millward, the care home’s activity coordinator, agrees. The Old Vicarage is private and her managers are supportive, but she is conscious that many of her peers do not have the resources to do the kinds of things she is able to. It’s not just the residents and staff who have been positively affected. For Lanza, performing in care settings has had a surprising impact. “I have to admit at the beginning I was sceptical and the first time we did it, I was very scared. Usually when I sing I only care about my voice and my technique, but we were facing something very different and we had to be really aware of our audience. “It has really opened my mind. It was a very important moment for me to be able to really see the effect of my voice on people and to be so close to them,” she says. “Now my way of performing has completely shifted because it has given true meaning to my skill.